Plaseebo is pleased to have been invited to create a custom, Mummy Julius, for the TAG show opening August 3rd. You can see more of Plaseebo's work here. These 2.25" Bombs were hand painted and sealed with 2 coats of gloss finish. Each one is different and they are signed and numbered 1/1. 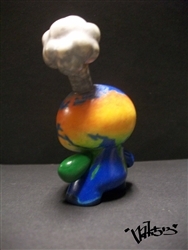 Bomb toy made of plastic. 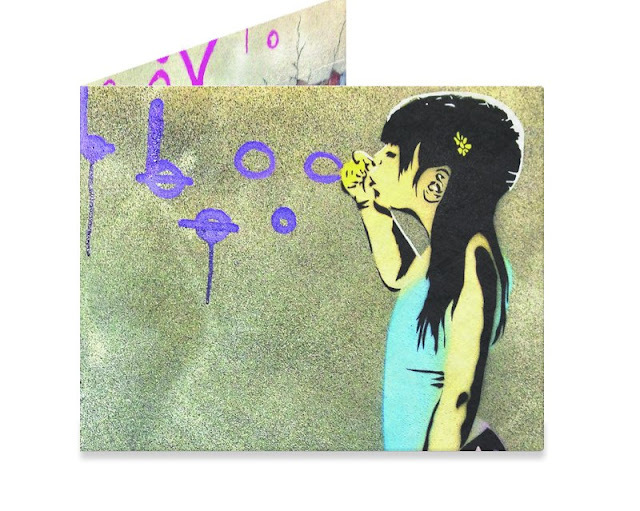 Produced by Aplogies to Banksy. 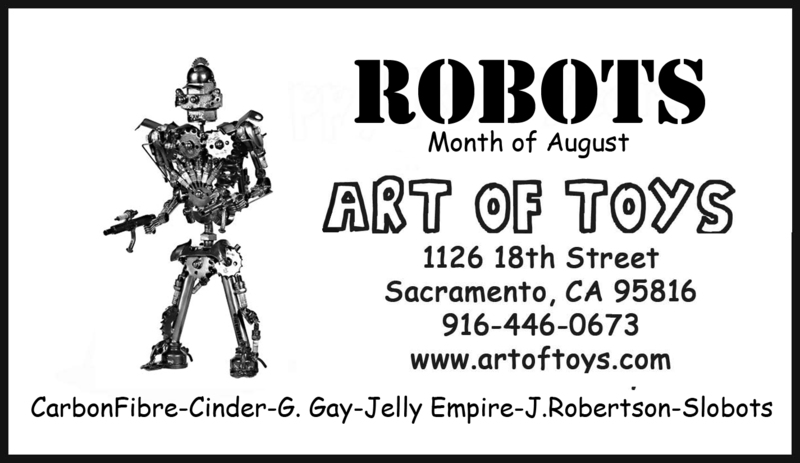 I have a couple of piece that will be exhibiting at a 'Robot Art Show' at the Art Of Toys Gallery over in Sacramento, CA!!!! 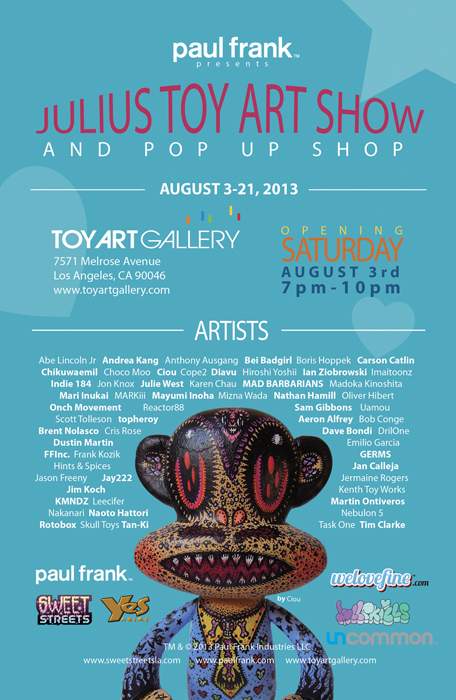 Im really excited about this and would like your help getting the word out! 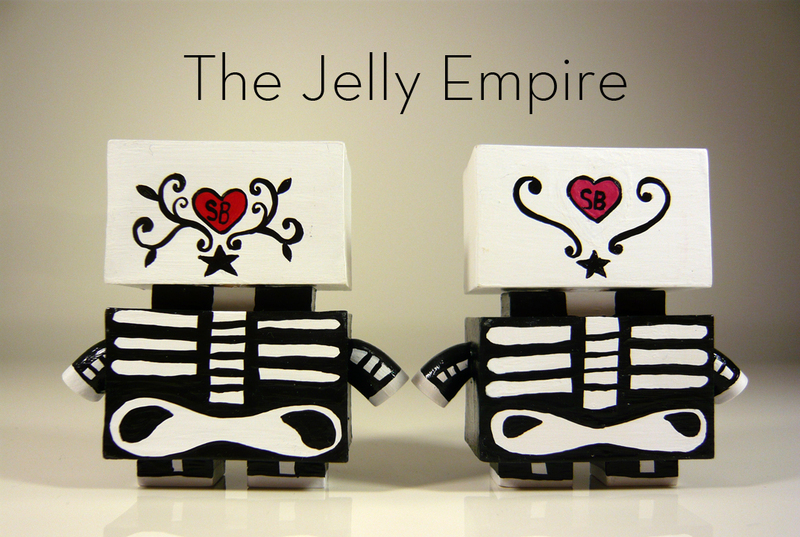 The two pieces are candyskull jellybot 2.0s and will also be available for purchasing at the gallery. $35 each. Our good friends at Giant Microbes are launching a new line of Computer Virus-themed plush dolls! To help them celebrate, we are GIVING AWAY 3 full-sized Computer Virus plushes and one keychain to 4 lucky winners. Designed using the 1's and 0's of binary code, our new Computer Virus designs feature pop-up tags like the warning windows on your screen! 4 Viruses are now available: Malware, Worm, Trojan, and Virus! Perfect for anyone who’s ever had a computer virus — or wanted one! Great gift for computer geeks. Hangtag is full of information about the virus and how to prevent it. Sparkling 1's are electrified bits! We have one of each of the following to give away: Worm, Malware, Trojan and a Worm keychain. #1- Leave a comment under this post. We have enabled G+ commenting so you can comment here on our blog, or on G+ and it'll show up. #2- Like the Computer Virus Facebook page and post a message on the page. 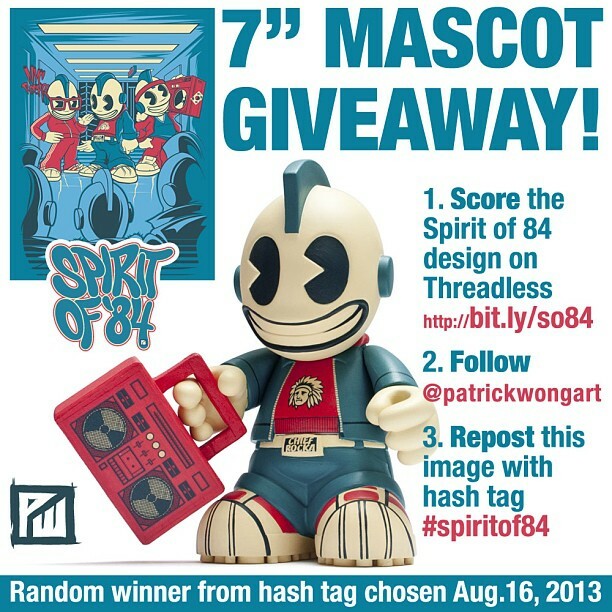 This contest will run for one week so I'll go through the comments and pick 4 winners on Saturday August 3rd. I'll be checking those messages on the Computer Virus Facebook page against the comments below to ensure that our 4 winners have done both. GOOD LUCK and thank you from Giant Microbes, Tenacious Toys and all the Viruses! The Scary Love Hello Tiki is a talisman to ward off unwanted love. 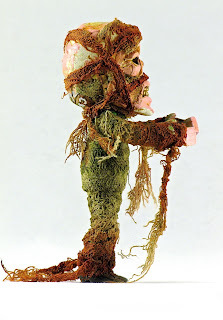 Some kinds of love are not healthy, and Hello Tiki II: Scary Love protects the holder from their ill effects. 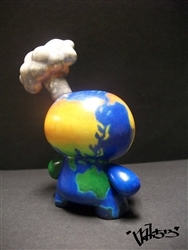 Standing 3" tall, this one of a kind piece was designed by NEMO and is based on the Hello Kitty plastic figure. 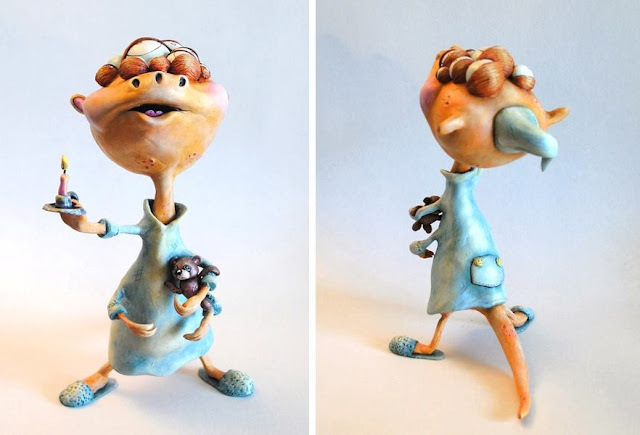 The piece features a hand-sculpted base, grass skirt and hand carving and painting. It is available now for $95 at the Tenacious Toys website. My latest custom is a custom Labbit. 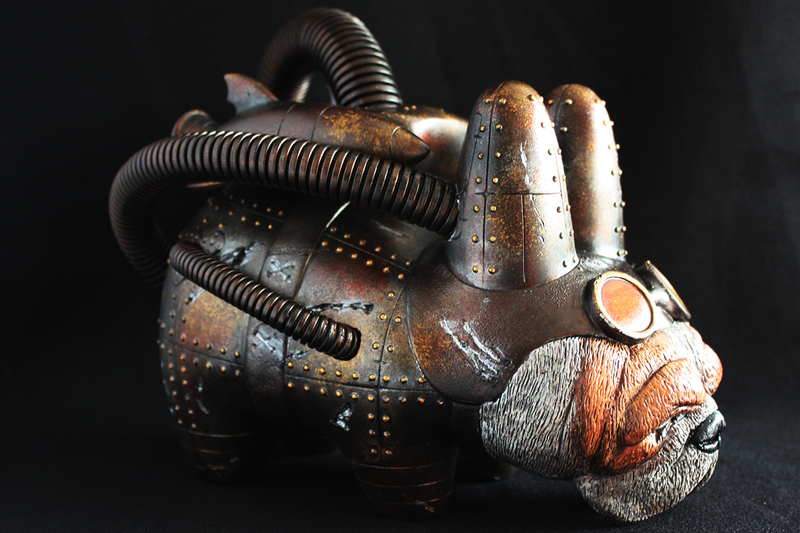 The base is a Yankee Pig Dog Labbit (Kronk). I am extremely happy with this outcome. It will be soon for sale in the Mintyfresh.eu store. 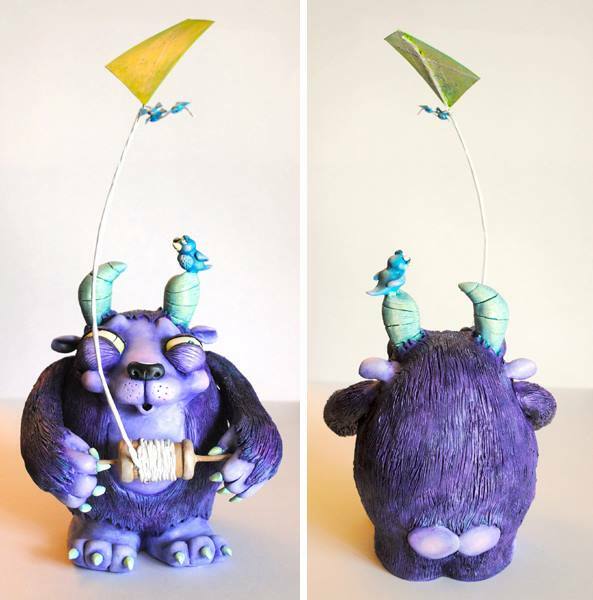 Shadoe has chosen an auspicious time to share his newest 4" Shadowling, having recently been announced as a finalist in the Designer Toy Awards for Breakthrough Artist (You may admire the lineup here). This little fella, Auspicious Shadow #1, has a home already. But other 4" pieces start at 100$ here and Shadoe is open for commissions if you were to drop a line to shadoedelgado@gmail.com Keep it up Shadoe! From the heart of a volcanic planet in outer space comes the locust beast hybrid MOLT !!! Not an accident he was cursed by the planet Lords and lost his wings. But the intergalactic war associate's W.A.R.P. Corp had other plans for the newly formed beast. 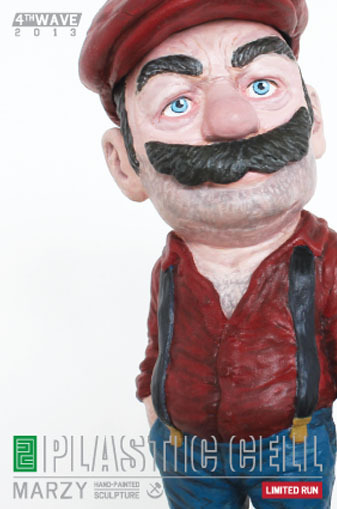 The first resin toy from Marshal Couture (aka. 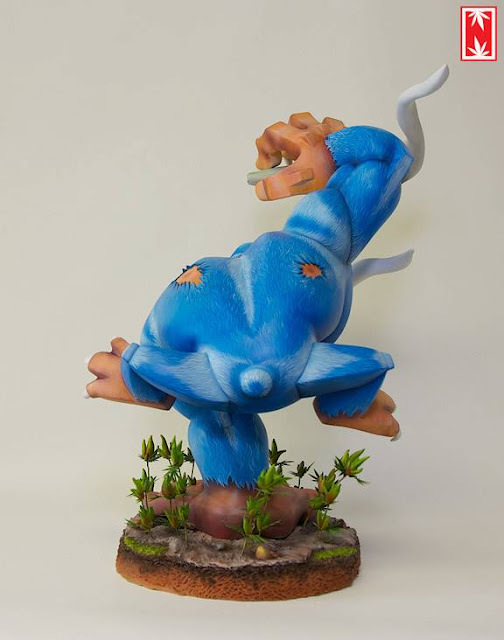 Calmplex) of Donkey Jaw Projects, MOLT the Locust Monster stands three inches tall and is cast from an original sculpt and hand painted. Limited to ten pieces, each MOLT comes signed, numbered and bagged with a custom header card with painted eyes. $20 each. To celebrate my triumphant return to blogging here, I'm going to do a series of posts about folks that I feel are doing "Next Level" work. First up is the new Marzy release from Plastic Cell. So why does this qualify as "Next Level"? Double DIY: Sculpt, mold and cast blank THEN sculpt and paint customs? Awesome. 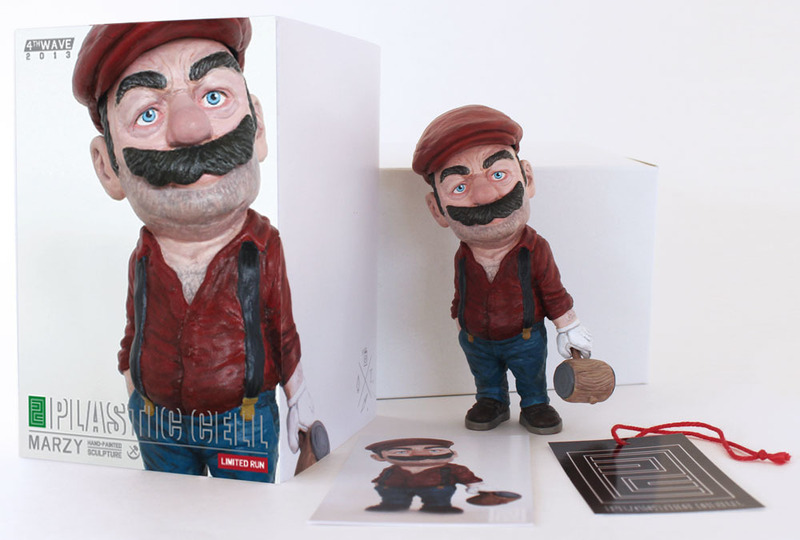 Presentation: Full color packaging, figure with accessories and a print. Take notes folks. Price: Total package price for the Marzy figure - $89 plus shipping. Accessible to collectors but not astronomical. Perfect pricing. Quality: Just a damn nice looking figure. Evocative and respectful of the source without being a shameless rip off. 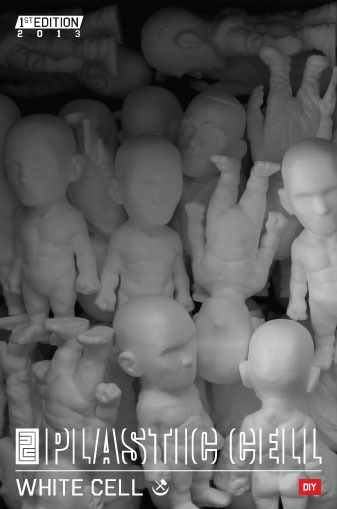 All the releases are based on a blank figure sculpted and cast by the Plastic Cell crew called "White Cell". 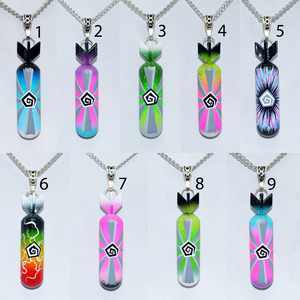 They can be purchased individually for an exceptionally reasonable $15 (mine was $22 shipped). So check them out on Facebook and Instagram! 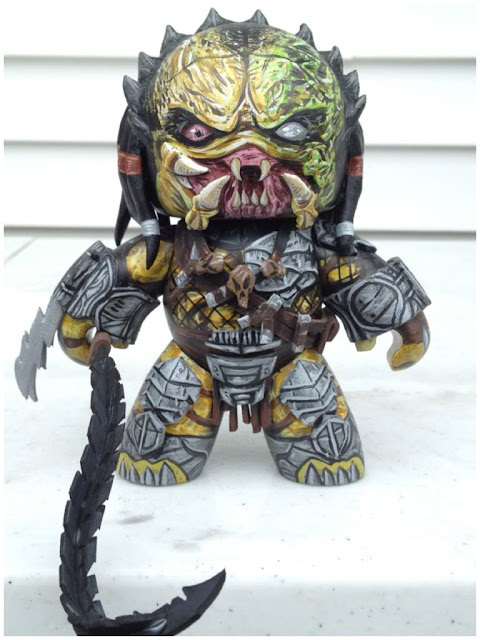 Just saw these amazing customs on Ian's Facebook account. These customs blew me totaly away! "Roasting" this Nuggyeater is one of the biggest yet. Standing 12 inches tall this custom Paw Raw can be seen miles away roasting the finest in NUGGLIFE. These are not commonly seen creatures, but will devour fields within minuets. Best have some good traps, cause it will take a lot to take one of these down. The "Pill Keeper"... Evil has come to NUGGLIFE.. For a green country only something must done. Even Crook Ed the cop doesn't approve. Leafy "HAZE" custom, and "The Burnt Snails" custom Betso dunny. Snails will be Available online. 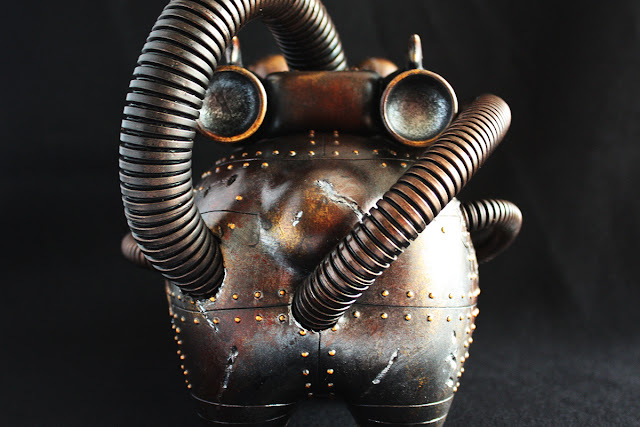 This piece is based on the 8" Kat Qee platform by Toy2R. 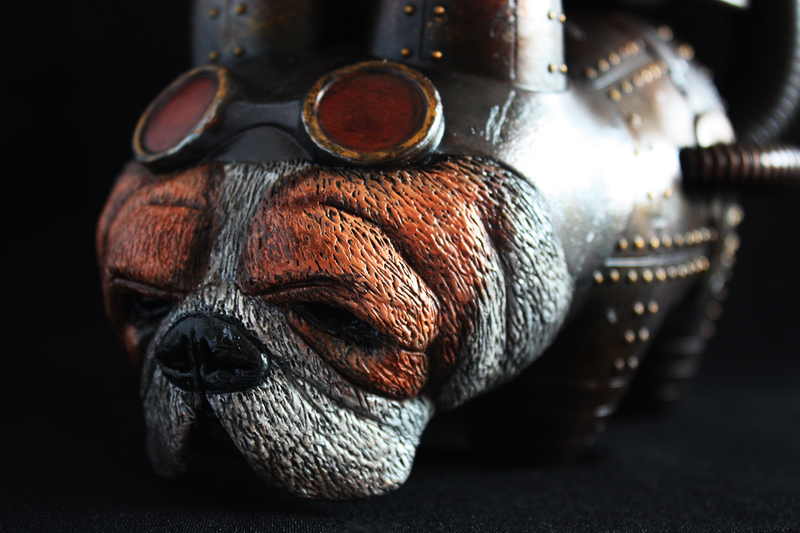 The piece is hand-carved and painted by artist Carson Catlin (aka CCC) and originally appeared in our NYCC 2012 booth. Titled CMYKat Qee Magenta, this one of a kind custom is available now for $150 in the Tenacious Toys online store. 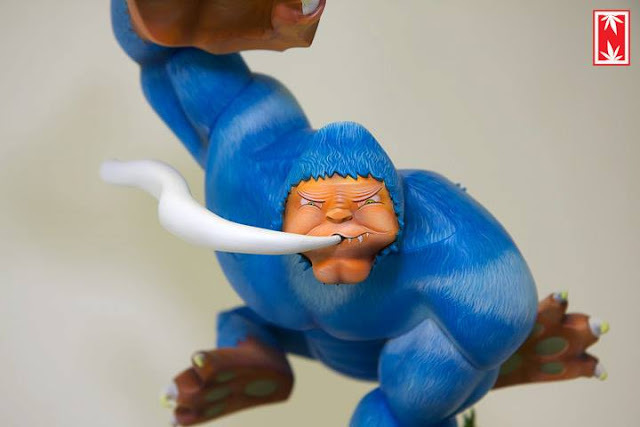 We Become Monsters unleashes Dimension Hoppers! From one universe to the next the Dimension Hoppers by We Become Monsters have journeyed here to search out new companions for their travels. 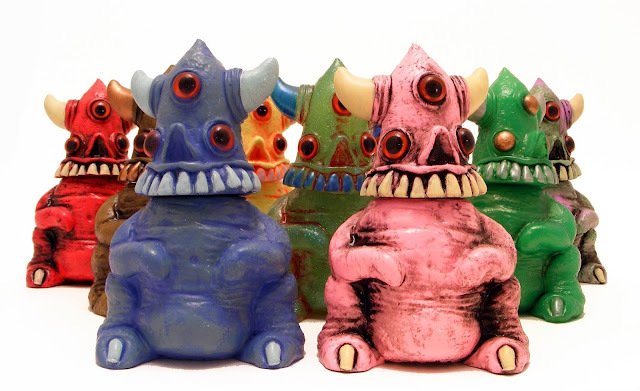 These 5" tall resin creatures feature articulated heads and hand painted details. Available in Pink, Blue, Sol, Glow, Battle, Tundra, Swamp and Funker, you're sure to find a pal who fits right in with your universe jumping lifestyle! Dimension Hoppers will be available Friday, July 26th at Noon EST for $55. All orders get a free micro SLAB (while supplies last, and supply of these is dwindling) and entered for random drawings to get a full size WBM SLAB. SLABs are our waste reduction program that turns waste resin into art. Liking www.facebook.com/webecomemonsters also adds another chance for a large size SLAB. 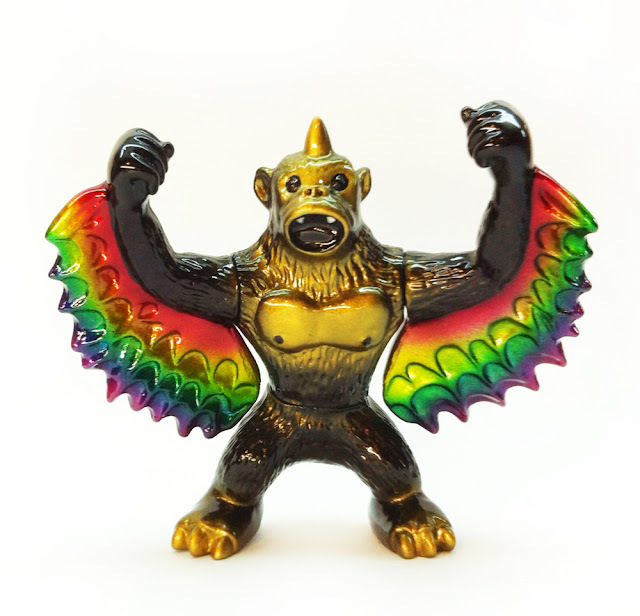 Behold the Monster Kolor-adorned Golden Rainbow Wing Kruzzilla from Ministry of Kongz toys and Toph. 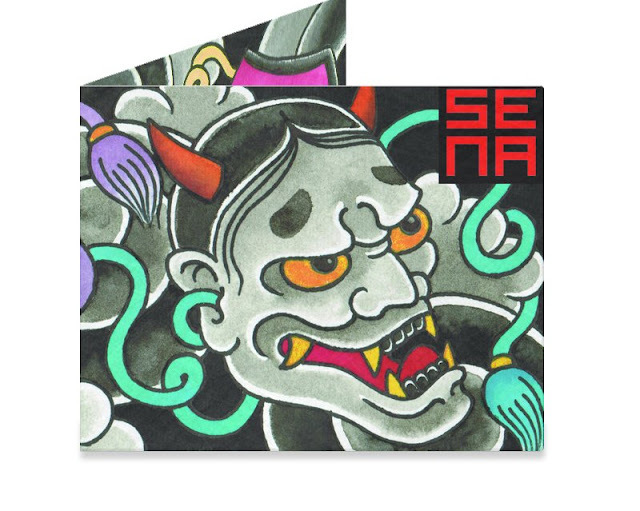 They're $40 each, in an edition of 5. Made of vinyl. Buy them here. 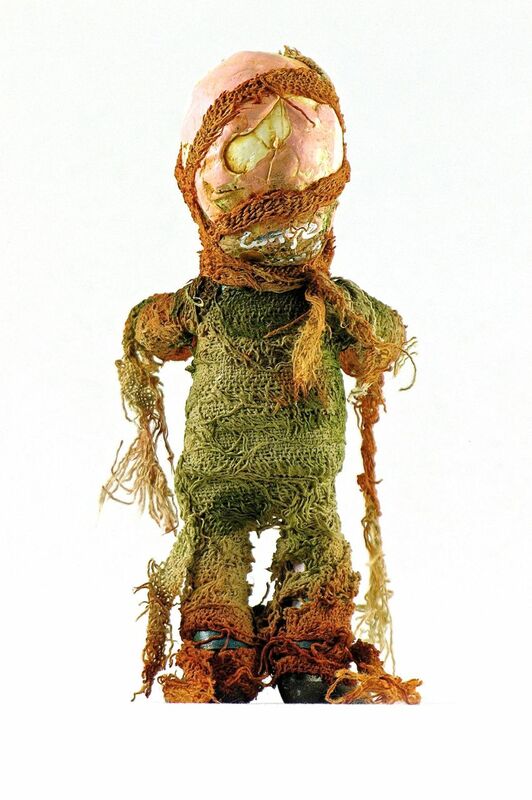 Teddy Scares are adorable- in a disturbing kind of way, and they are now available for custom printing on 8" plush teddies! 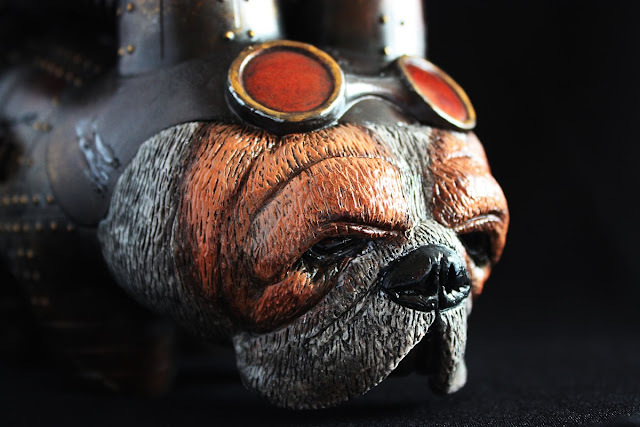 Each of 3 Teddy Scares character comes with a different available printing location on its outfit, ready to be emblazoned forever with your custom logo. 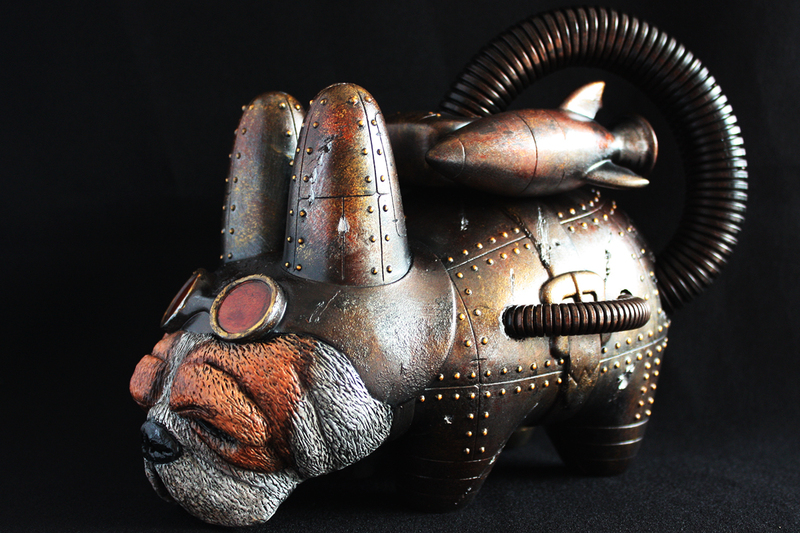 Your custom Teddy Scare is just an inquiry away, drop a line to Mike at theshank254@yahoo.com for details. 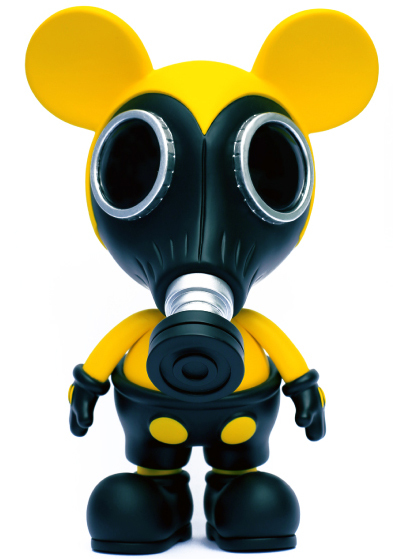 Mintyfresh Exclusive Ron English Mouse Mask Murphy: LAST CALL! If you've been putting off your purchase of fellow Designer Toy Awards Finalist Mintyfresh's exclusive Mouse Mask Murphy figure, you might want to go buy it now. 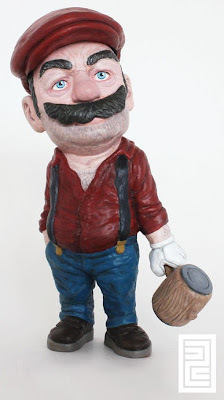 I just heard from them and they tell me they are nearing sellout (we've been talking because I was very interested in this exclusive from a business perspective- a VERY smart choice IMHO since this is the most sought-after Ron English toy character). This exclusive Biohazard colorway is limited to just 100 pieces and it's 10 inches tall- huge and awesome. 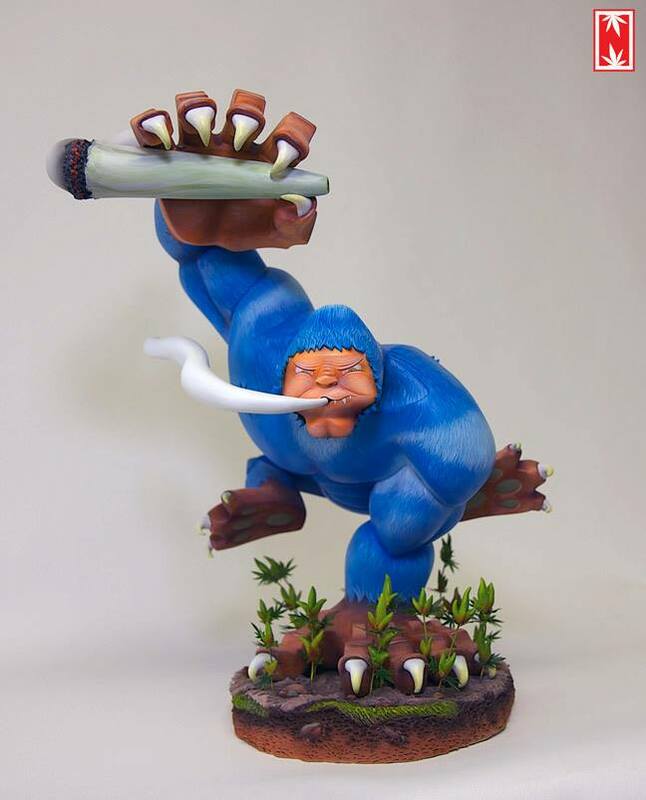 A MUST-HAVE for all Ron English collectors. 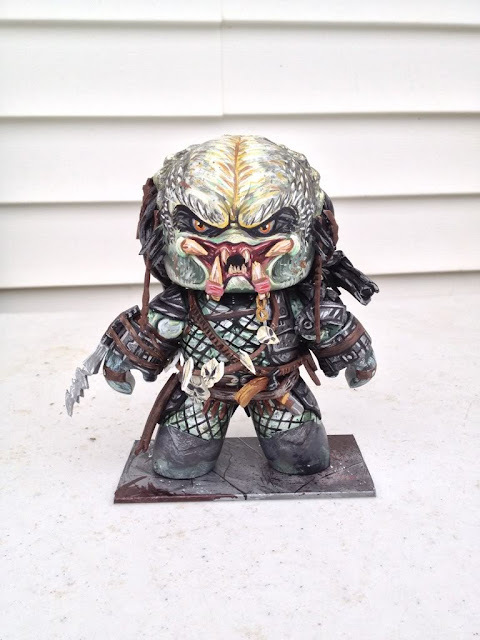 Produced in vinyl by Made by Monsters- some of my customers say the QC on Made by Monsters pieces is the best in their collection! 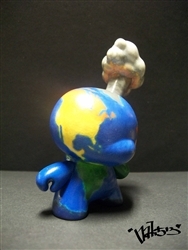 Todays featured product is a one of a kind custom 3" dunny from nati513. 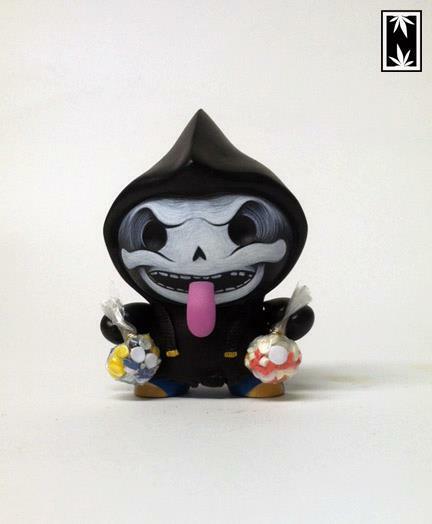 "@ till Midnight" is a hand painted and customized piece on the Kidrobot dunny platform. 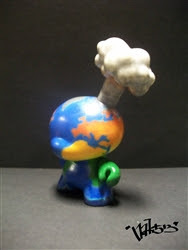 Featuring a body representative of the earth and a mushroom cloud exploding from it's head, this custom could be yours for the sale price of $50 at the Tenacious Toys website. Design a Dynomighty Wallet, Get Sales, Get Paid, Go Global! 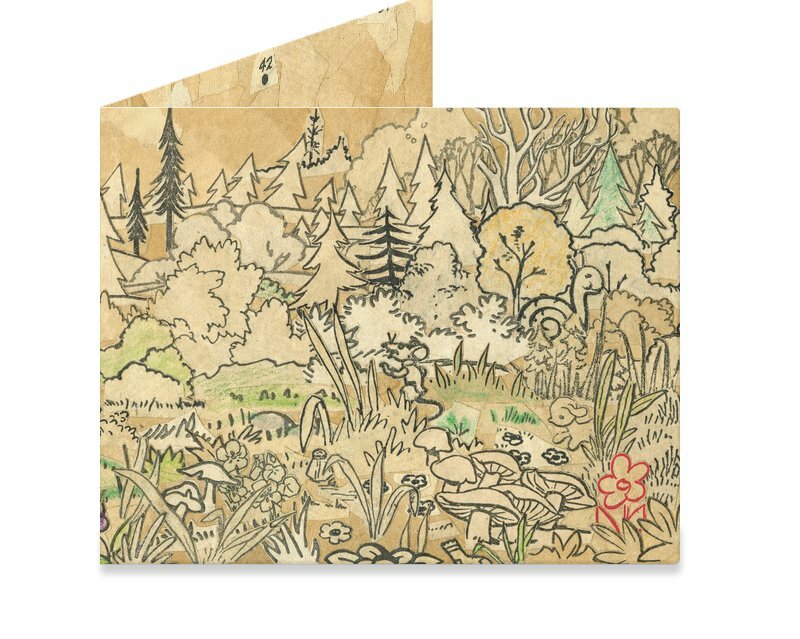 Dynomighty Announces their "Artist Collective" program, designed to encourage submissions of new designs for their MightyWallet Tyvek wallets. Tyvek is that crazy material the USPS uses in their Priority Mail packaging. You can print on it like paper, but it doesn't tear. Artist Collective is a creative channel where up and coming, developed, or masters of the fine arts can produce a MightyWallet® of their own design. Artists from around the globe have joined in and started sharing their art to inspire others...not to mention create an amazing wallet! Once the artist's design is approved they can choose to launch it immediately or save it to coincide with a show or event to help cross-promote. It puts the power of promotion into the artists hands. Once the design is launched, there is a 30 day window in which they will need to have 30 backers support their design. If the wallet design clears the 30 by 30 challenge, the wallet will go into production. Any and all backers will receive the wallet. 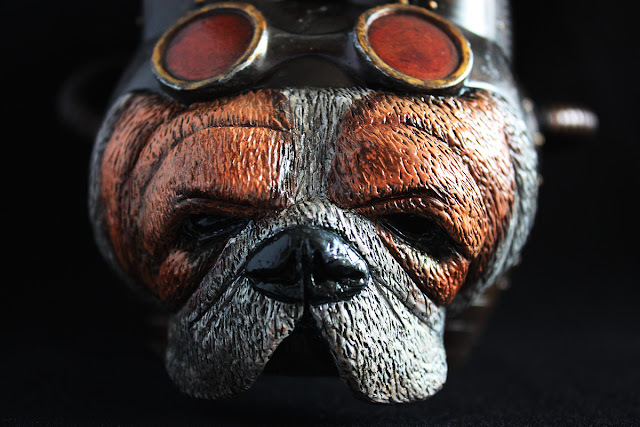 A few of the most successful designs will be offered to over 1600 stores across 66 countries around the globe. So not only do you get to create a wallet of your own design, but if your design clears the 30 by 30 challenge, it will be seen around the globe. This unique project is part of Dynomighty's commitment to encourage art and design. Founded by an artist, Dynomighty has and always will support art, artists, and those that choose to Be Mighty! 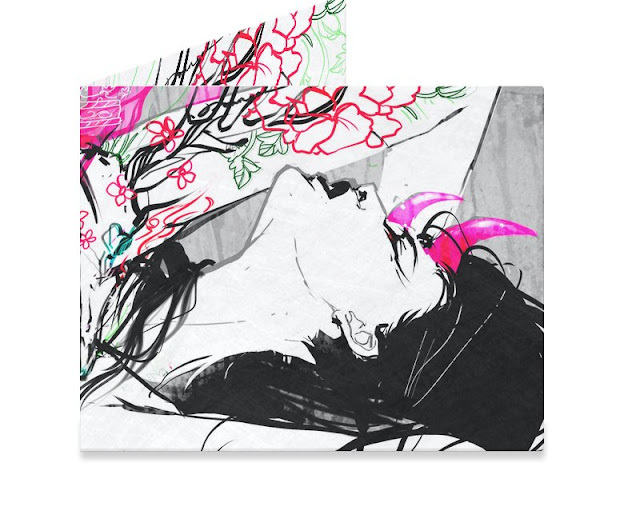 So here's the thing: if you're an artist, and you are ALREADY producing artwork in various forms to sell online, you should DEFINITELY take advantage of this program to get products with your art on it distributed around the world. Worldwide recognition is NO JOKE. As an artist it should be your main goal, if you hope to support yourself on the sale of artwork alone. You're gonna have to sell both original art, and products like this with your art printed on them, in order to make it. And you KNOW I would never push you to do something that's a waste of time. Money MUST be the end goal. 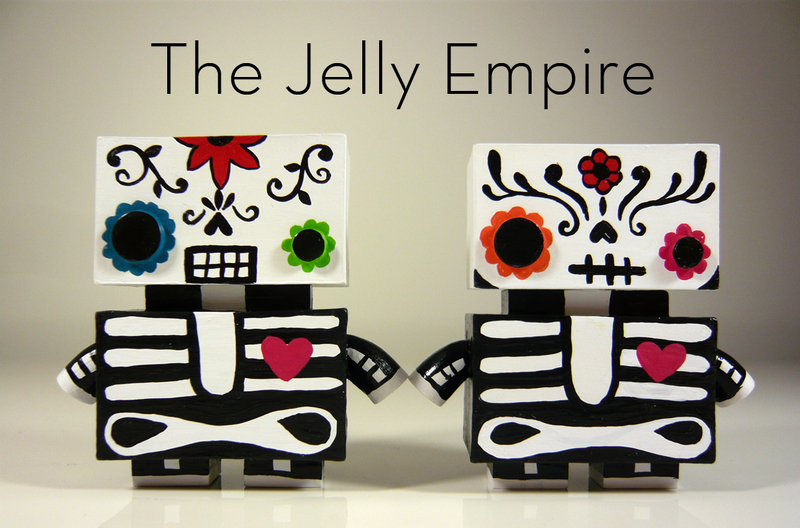 Basically the program works like this: go here, click on CREATE, and upload your design. From that point you have 30 days to get 30 people to pre-order your design. That's as easy as a little social media work, or blogging work, or an email blast to your mailing list (because you DO have a mailing list, right?). MightyWallets are $15 at retail- super cheap for customers. If you have a mailing list of 300 people, and you might get 10% to spring for it, you're golden. You can see this process in action here, where buyers would browse designs. OK so once you get 30 of your people to back your wallet design (it's like a mini 30-day Kickstarter), your wallet goes into production. Your backers pay and get theirs and ALSO you get 15% of the profits generated by the sales of your wallets on the Dynomighty site. ALSO, the most successful wallet designs are offered up at wholesale to Dynomighty's impressive network of retailers in 60+ countries! To sum up: if your design goes through, you get MONEY and GLOBAL RECOGNITION. What the hell are you waiting for? Go find Dynomighty on their website, Facebook and YouTube. Speechless by these extremely artistic customs from One-Eyed Girl. 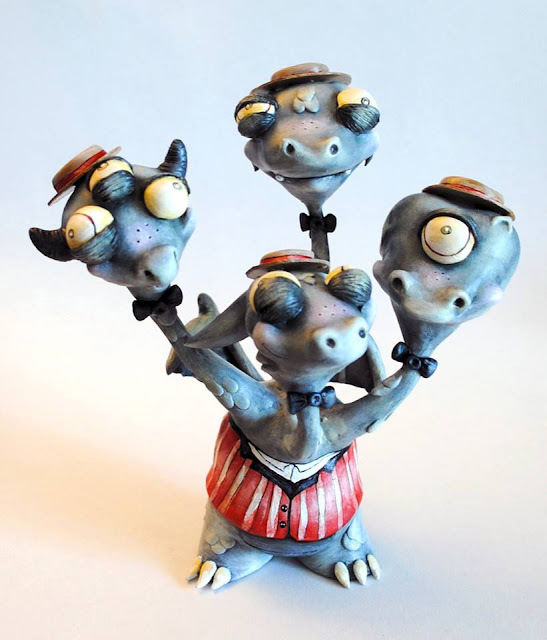 Wanted to share my monsters for "A Monster's Lullaby" at Strychnin Gallery this month! 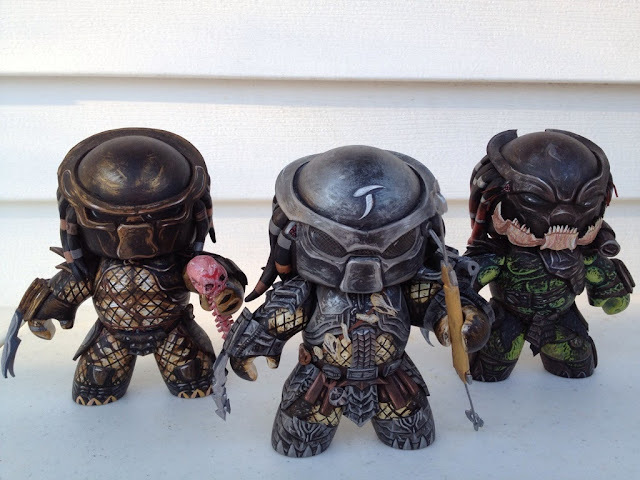 I spotted these guys on the customtoyunion.com forum. Have to show these guys here....amazing!